Our Sanctuary Choir under the leadership of Christine Bunch will sing the cantata BORN A SAVIOR, BORN A KING on the Sunday morning of December 23. Laura Unterweger, our church pianist, ably supports the choir. 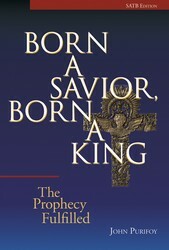 Jesus was indeed born a Savior, born a King!